Listing courtesy of WIREX_RANW / Hometown Real Estate & Auction Co., Inc.
47/55 N to Keshena, R on Hwy VV, L on Old South Branch Rd, R on South Branch Pathway, L on Spirit Ridge, R on Spirit Ridge Trail. Hello, I’m interested in W1519 SPIRIT RIDGE TRAIL and would like to take a look around. 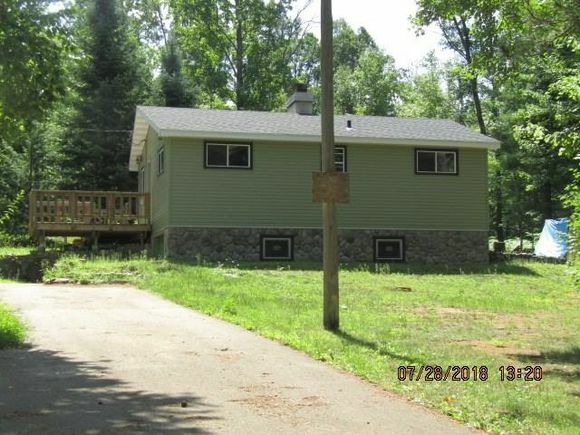 The details on W1519 SPIRIT RIDGE TRAIL: This house located in Menominee, WI 54135 is currently for sale for $78,900. W1519 SPIRIT RIDGE TRAIL is a 960 square foot house with 2 beds and 1 bath that has been on Estately for 267 days. This house is in the attendance area of Keshena Primary School, Menominee Indian High School, and Menominee Indian Middle School. Listing Courtesy of: WIREX_RANW and Hometown Real Estate & Auction Co., Inc..